100% cotton bio wash fabric soft and comfortable what you see is what you get.wash care:hand wash only. Half sleeve tshirt for small kids above 1 to 3 year. Special first Birthday t-shirts for little one and kids also. 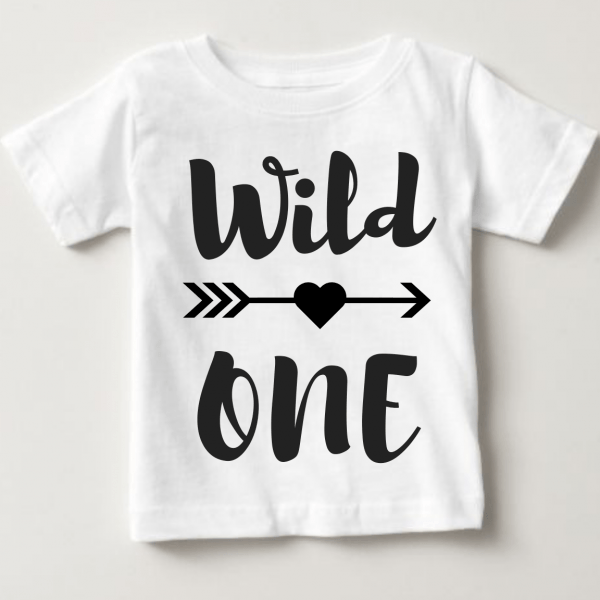 “Wild One ” Text print on t-shirt. Half sleeve t-shirt for small kids above 1 year. Wash the t-shirt inside out. do not wash in hot /warm water. Wash care:hand wash only. no brushing on the print of T-shirt. Knitroot India Private Limited is a well-established manufacturer and exporter of garments, based out of Mumbai.